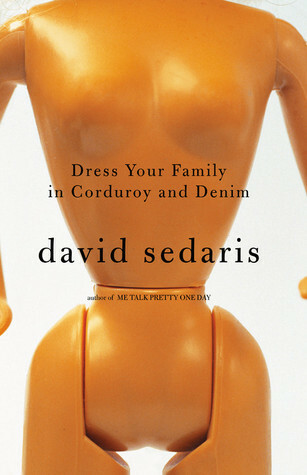 What can I say, I love David Sedaris. Laughing outloud with every darling short story. Amazed by his ability to tell such intimate and sometimes painful stories from his childhood where he can see the insanity but makes no judgement about it. That his teenage years and accompanying angst were just as bitter and painful as everyone else's and that he lived to tell about it and make us laugh about it is a true gift. I am not sure that his family would love having their dirty laundry aired in such a public venue, but I am so happy that he did it, because it makes everyones' crazy families seem that much more normal and lovable. Highly recommend it for a quick and fun read. Sign into Goodreads to see if any of your friends have read Dress Your Family in Corduroy and Denim.